An afternoon on the island in search of a perch, and as I had the place to myself I thought I'd slap on a lure and do a lap. Lap 1, Mepps: Tiny jack straight away. A few pegs later I hit a mid-double pike which I wound straight to the net like a wet sack, then she woke up and went nuts - back and forth across the river - even after she spat the lure she still rolled about on the surface - one angry pike! Lap 2, Shad: Not a touch, was really happy with how they fished - what was going on? 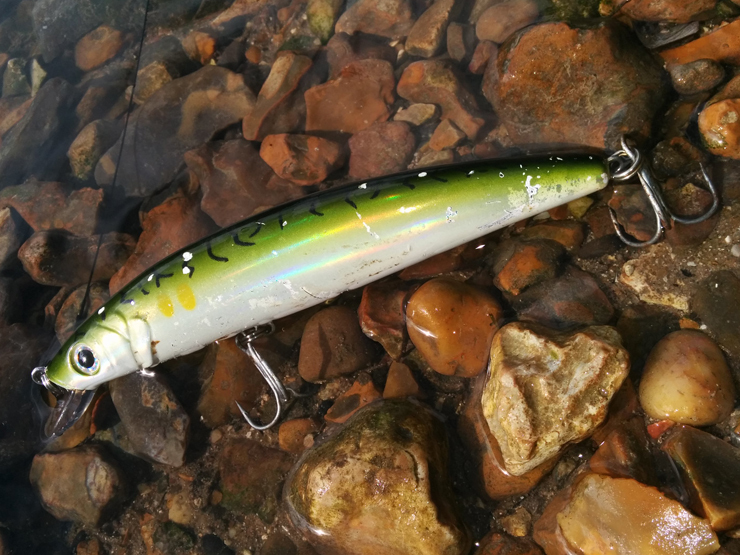 Lap 3, Plug: The one in the top photo, my favourite lure - and as you can see from the bite marks pike and perch like it as well - just one half-hearted hit. Lap 4, Mepps: Again. 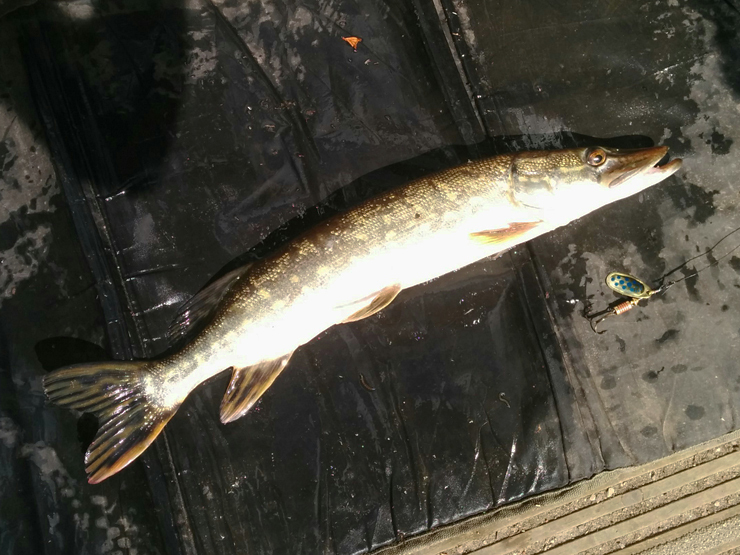 Lost another pike about 7lb. Basically it didn't go to plan. I'm not worried about the lost pike - I'll be back for them. But where are the perch? Time for a rethink on the predator front..!